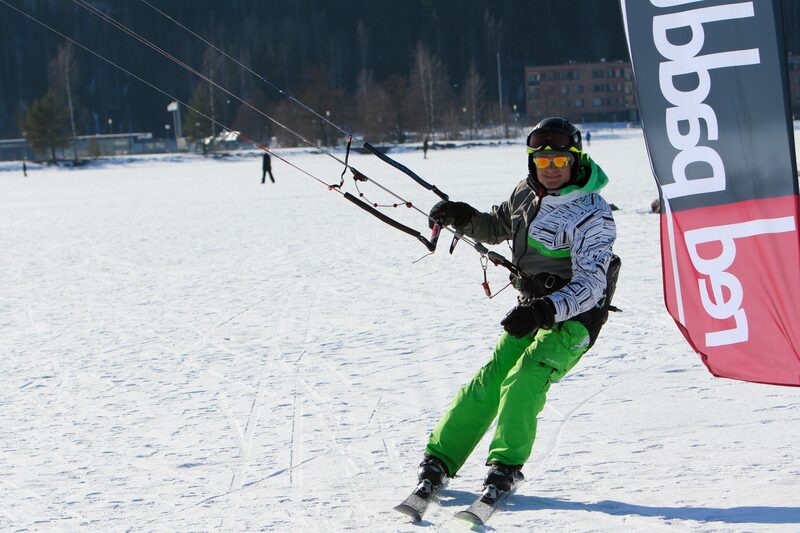 Depower snowkite has good force, it is easy to learn to adjust this. Training with us give you good skills to handle kite power. 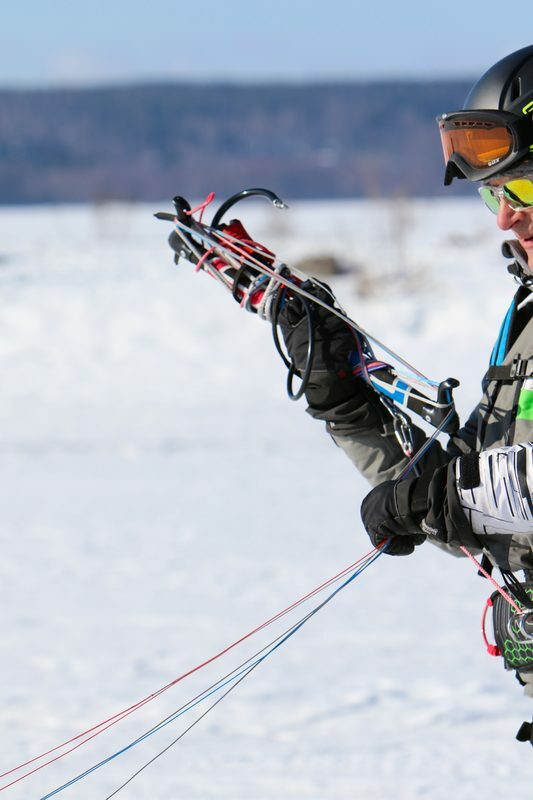 After this training you are close to start snowkiting with skis or snowboards! 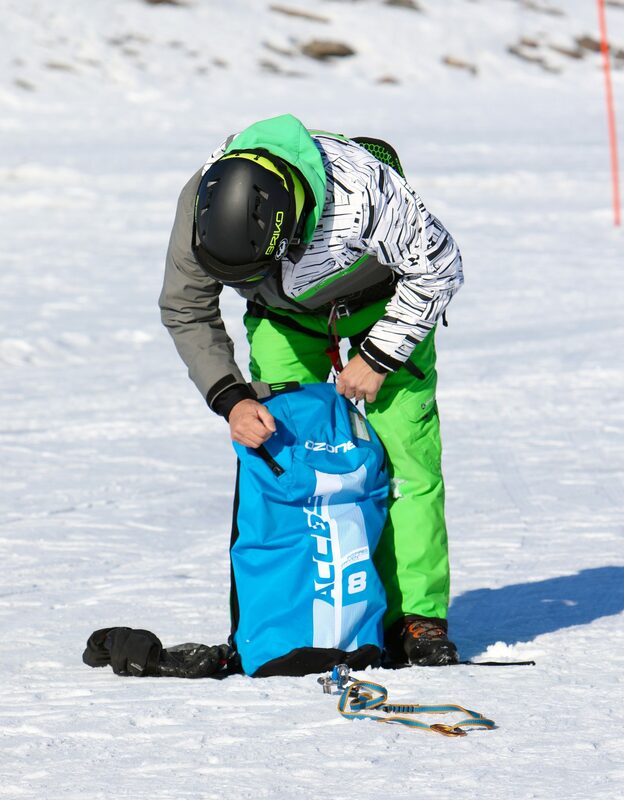 We make you familiar with set up snowkites, take a look for equipment, choose safe training place and make you sure with safety instructions. 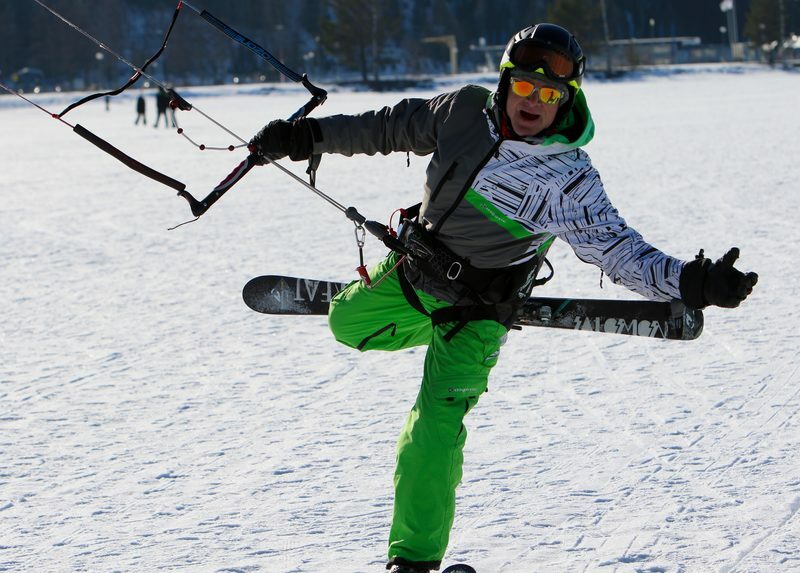 The aim of the course is to learn the necessary skills to be independent for fly a snowkite. Safety instructions for fly a snowkite. How to find suitable place to practice. 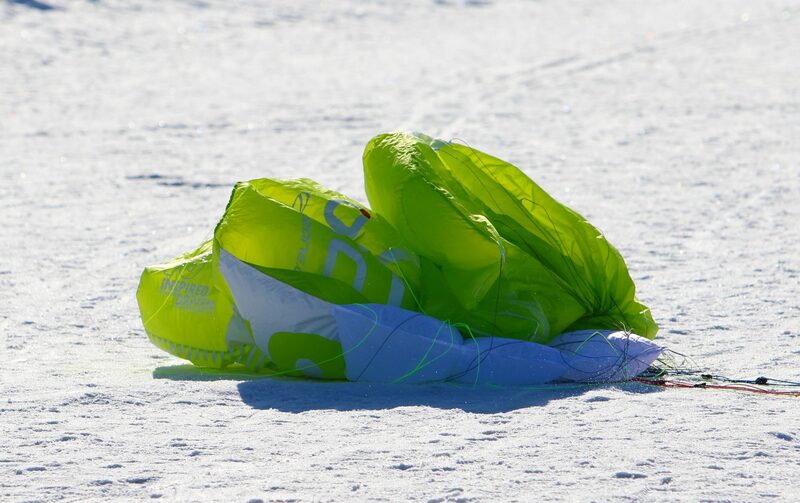 Set up a depower snowkite for fly and anchorage, safety equipment. 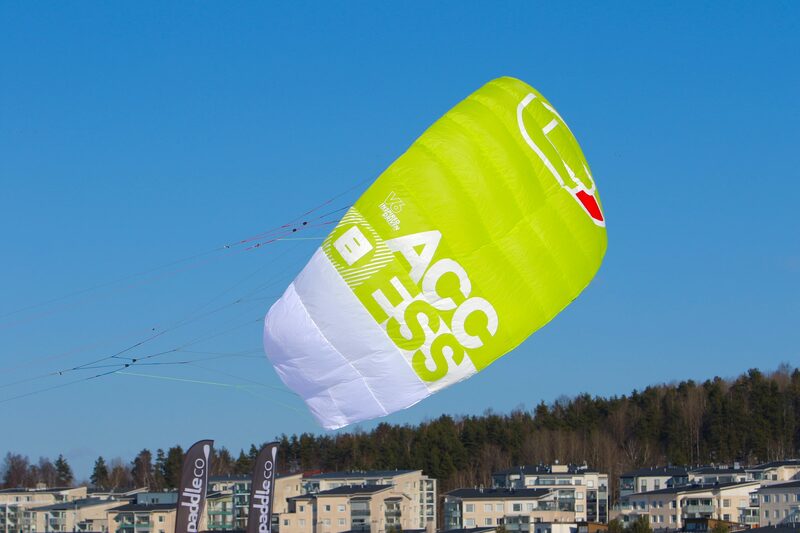 Fly a snowkite, wind window (flying area), powerstroke,safety training, emergency release training. 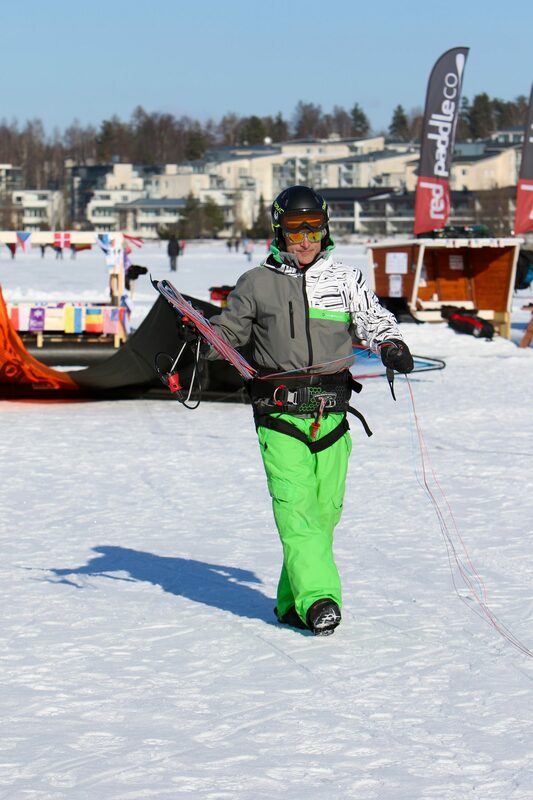 Walk on ice kite assisted. Self unloading the workout. 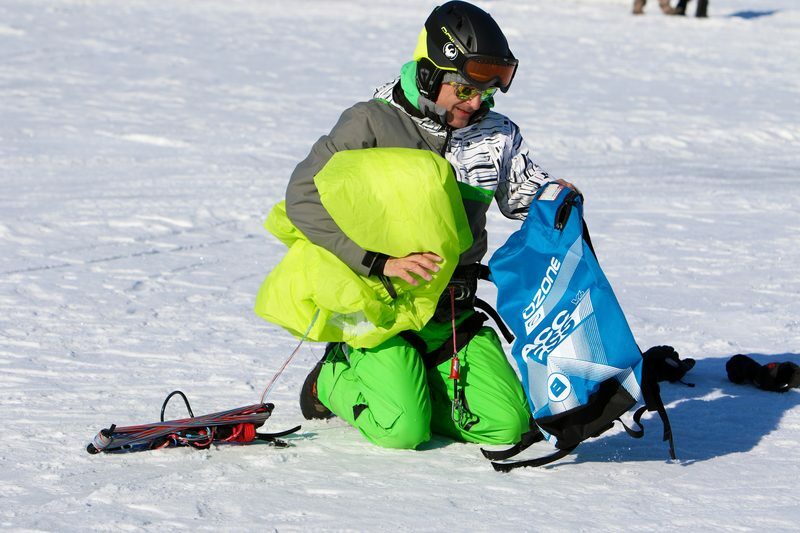 Rentals from snowkites, harness,helmets and ice picks. Carefully instructions and instructor on site. * wear weatherproof clothing, especially windproof, and bring sturdy and warm boots with you. * You are welcome to bring a day bag on the ice! A thermos with hot tea/coffee will come in handy. * Although we are in the winter, you will need to protect yourself from the the sun. Bring a hat, sunscreen, and sunglasses/goggles if you are sensitive to the glare. 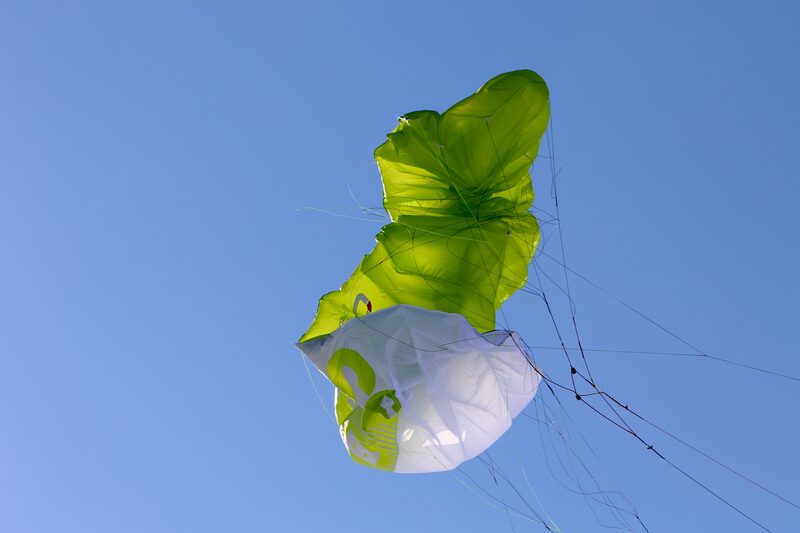 * Kitetirri takes no responsibility for lost or damaged goods so we encourage you not to bring valuables. * While we take all possible precautions to avoid injury, every active sport has the potential for physical harm. Please ensure you have proper health insurance coverage before participating in our classes. We give lessons, rent equipment and organize tours and events. Our shop is spezialiced for sale sup- and snowkite equipment.